The consortium is a company limited by guarantee established as a joint venture of over 35 organisations. ​The joint venture creates a single point of contracting with the responsibility for setting up and managing sub-contracts with individual consortium members.​It operates with a hub and spoke structure. The hub is the central infrastructure or staff resource that acts as the executive engine of the consortium, including negotiating and sub-letting contracts, while the spokes are the various individual member organisations/ providers.As well as its financial/ business development brief, the hub is tasked with building the capacity of member organisations so that they are better able to meet the requirements and thresholds of the commissioners/ procurement agencies. 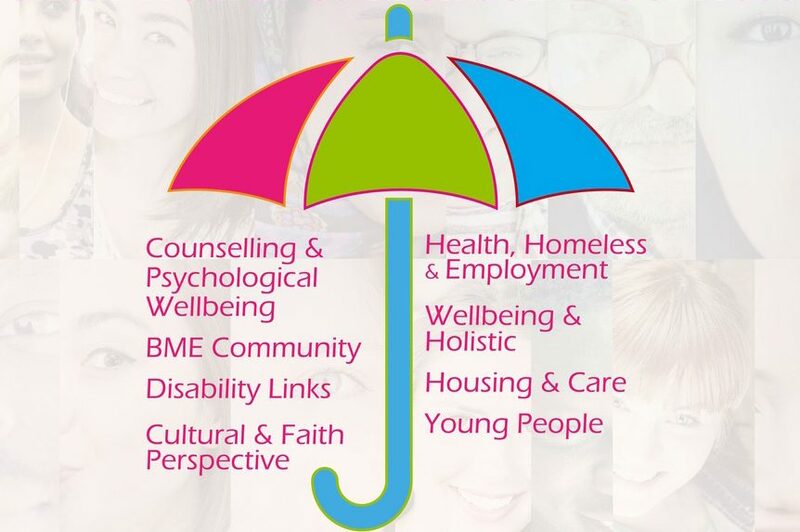 This ranges from arranging informal networking opportunities through to organising formal training for members.The primary goal of the consortium is to improve the mental health and wider well-being of local people, especially those who are most in need, through the provision of high quality, responsive, generalist and specialist services and initiatives. The focus is on building on the capacity and track records of existing third sector member organisations to deliver a range of holistic, bespoke mental health services at the point of need through securing, contracts and grants for the delivery of mental health and mental wellbeing services/activities and to manage the ensuing revenue through a joint approach. Our model of work and expertise are shared with other organisations and providers through consultancy work, training, conferences and workshops.